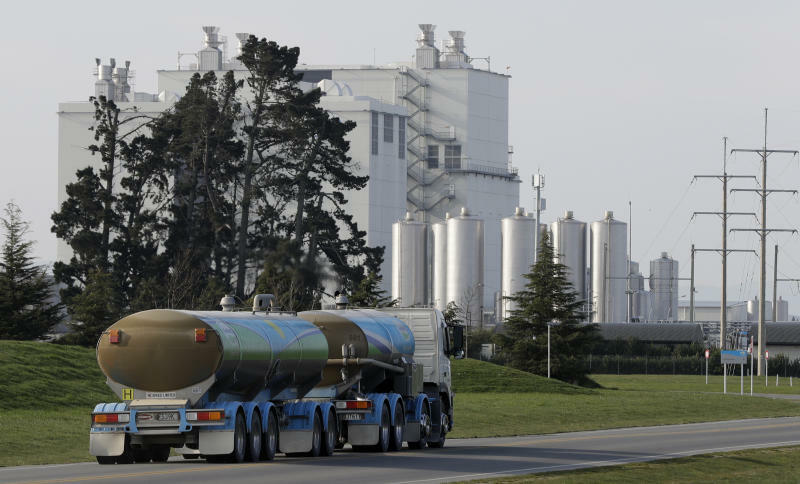 WELLNGTON, New Zealand (AP) — New Zealand's largest company, which sells dairy products, said Thursday it will completely review its business investments after a disastrous financial year saw it post its first-ever loss. Fonterra is the world's largest exporter of dairy products and controls more than 80 percent of New Zealand's milk supplies. Its largest market is China, which uses New Zealand's sought-after milk powder to make infant formula. 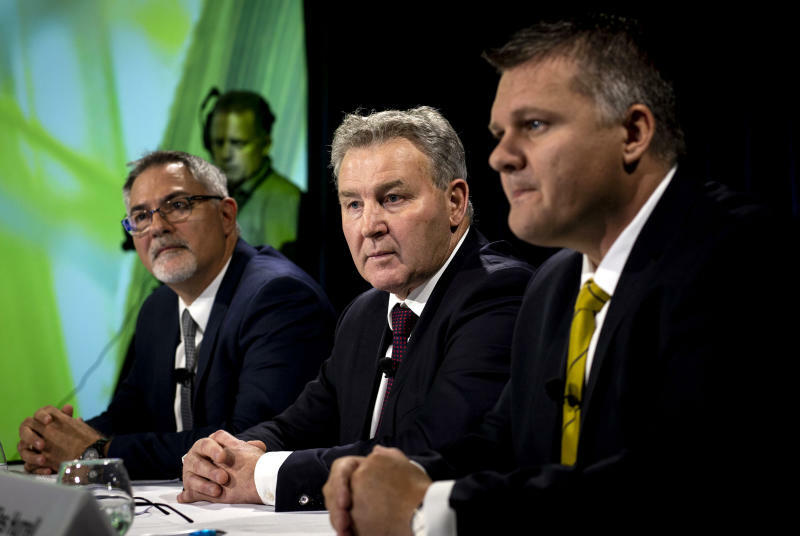 New Chief Executive Miles Hurrell said Fonterra failed to meet the promises it had made to the more than 10,000 farmers who own the company under a cooperative structure. "Throughout our business, we underperformed," he said. Much of the loss was due to a write-down of NZ$439 million on Fonterra's investment in China-based infant food company Beingmate. The results came during a year when farmers benefited from relatively high milk prices. 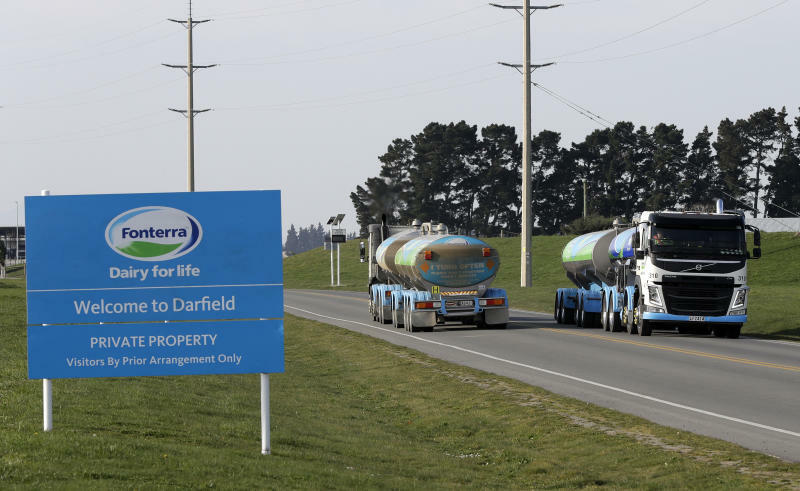 One bright spot was that Fonterra's revenue was up 6 percent to NZ$20 billion thanks to the higher prices, despite a drop of 3 percent in the volume of products sold. Former chief executive Theo Spierings announced in March he was quitting, followed by former chairman John Wilson who left in July. Spierings' compensation last year of NZ$8 million angered many farmers, who thought it was too high. Monaghan said Hurrell's pay, which would be disclosed next year, would be "substantially less" than what his predecessor was paid and would be in line with market forces. Chris Lewis, the dairy chairman for farmer's lobby group Federated Farmers, said in a statement that Fonterra must do better, something he's hopeful will happen under the new management. "I hope those two have a new broom for the shop floor," Lewis said. Hurrell said he saw an opportunity to turn the company's fortunes around. "It's a tough job, and I don't hide from that," he said. "We've got a challenge in front of us."